Kathleen Heddle is one of British Columbia’s most distinguished athletes. 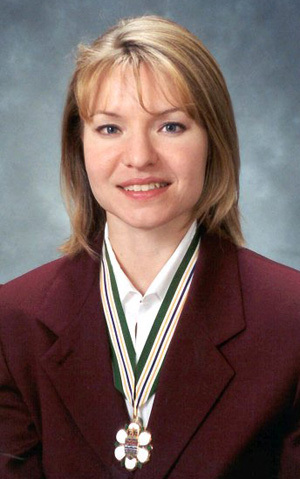 She started rowing for UBC in the fall of 1985 at the age of 19; quickly joined national team ranks by making the Pan Am Team in 1987; and, went on to win a gold medal in the straight pair. Since then Ms. Heddle has made steady progress and has been a member of the Senior A Team since 1989. She is one of the strongest female athletes on the rowing team and makes a major impact on any crew in which she competes.